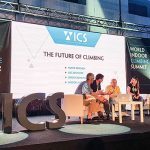 The Cliffs Climbing + Fitness, operator of climbing gyms in NYC and Westchester, has announced plans to open a 40,000+ sq. 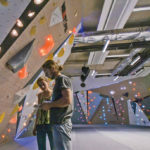 ft. climbing, yoga, and fitness facility at 233 Nevins Street, in Gowanus, Brooklyn. 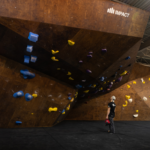 In addition to climbing, the facility will feature state-of-the-art climbing training, a full-scale fitness gym, saunas, yoga, group fitness, and a retail store offering climbing gear, accessories and apparel. There will also be an on-site parking garage available for visitors to use. 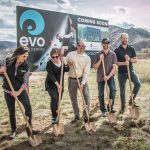 The building is being constructed from the ground up and tailored specifically for rock climbing use by a partnership between JBS Project Management and Atkins & Breskin. The cost of construction is projected to be $18,000,000. 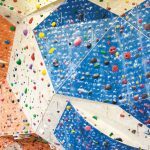 The Cliffs currently has three locations: The Cliffs at Valhalla in Westchester, NY; The Cliffs at DUMBO on the Brooklyn waterfront; and its flagship location, The Cliffs at LIC in Queens. The Cliffs at Harlem is scheduled to open later this year and The Cliffs at Callowhill in Philadelphia is slated to open in 2019.